Indiana State University maintains a 24-hour Public Safety operation located at 210 N. 6th Street between Erickson and Pickerl Halls. The Public Safety Department has 25 full-time police officers. Police Officers employed by the Public Safety Department exercise full police authority and enforce federal and state laws, as well as University policies. Our police officers are appointed under the statutes of the State of Indiana with full police power both on and off campus properties, and are available 24 hours a day throughout the year. 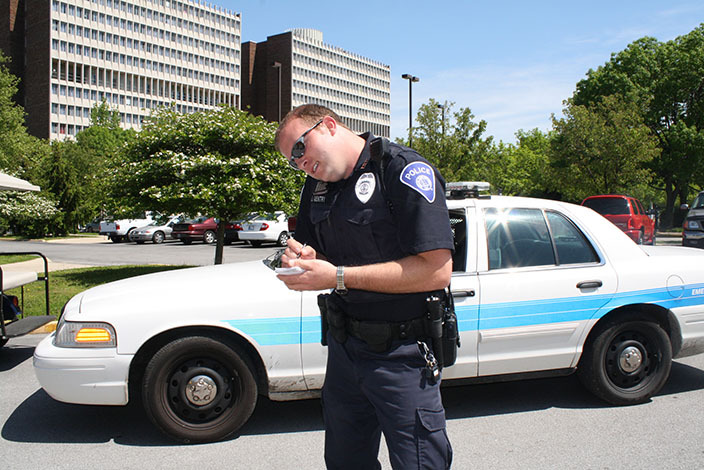 The Public Safety Department maintains a strong working relationship with other university police agencies and local, state, and federal law enforcement agencies. NOT Currently Accepting Applications for a Police Officer. Please go to the link below to view qualifications and to apply. It is ISU Police Department's policy to investigate all complaints against employees received from any source. The public has a right to expect efficient, fair, and impartial law enforcement. Therefore, any complaint against an employee of this department must be thoroughly investigated to assure the maintenance of these qualities. Employees too must be protected against false allegations. This can only be accomplished through a consistent and thorough investigation. The Annual Security and Fire Report is published in compliance with the Jeanne Clery Disclosure of Campus Security Policy and Crime Statistics Act and the safety-related requirements of the Higher Education Opportunity Act. The report contains information regarding campus security, crime prevention, fire safety, personal safety, policies for reporting crimes and sexual harassment. Three years' of statistics are included for certain types of crimes that were reported to have occurred on campus, or in certain off-campus buildings or property owned or controlled by ISU, and on public property within, or immediately adjacent to and accessible from the campus. If you would like to receive a hardcopy of the Annual Report you can stop by the Public Safety office at 210 N. 6th Street, Terre Haute, IN or you can request a copy be mailed to you by calling (812) 237-7829. An “All Clear” text message will be sent when the situation has been resolved. The Jeanne Clery Disclosure of Campus Security Policy and Campus Crime Statistics Act (the "Clery Act"), requires college and universities to compile and publish statistics on certain criminal offenses that occur on or adjacent to university properties. The Clery Act requires certain crimes reported to a Campus Security Authority (CSA) be included in those annual statistics. Therefore, CSA's must be identified and trained in their reporting responsibilities. Not properly identifying and training these individuals can cause the university to suffer significant fines and jeopardize Title IV funding. This form is intended for the gathering of information regarding reported Clery crimes only. It is in no way meant to replace a police report. If you are advised that a crime occurred in one of the areas listed on the form you should first ask the person if the crime was reported to the police. If it has, you need not take further action. This form should only be completed if the incident has not been reported to a law enforcement agency. Attempt to be as specific as possible when reporting the date, time and location of the crime. This is necessary to reduce the possibility of “double reporting” crimes which may be reported to us from multiple sources. With regard to the location of the crime, we are not only required to gather information or incidents that occur on campus and in residence halls, non-campus and off campus facilities controlled by the University, such as Greek houses, and public property adjoining the campus. This would include public streets and sidewalks that border the campus. Types of crimes to be reported – only the more serious crimes need to be reported under the Clery Act, these are listed on the form. If you have any doubt that the incident fits under one of the crimes listed, briefly explain what happened in the narrative space provided and send the form to Public Safety. Please complete the section pertaining to “hate crimes”. For purposes of the Clery Act, a hate crime would be committed when the motive for any of the crimes listed on the form was the victim’s race, gender, religion, sexual orientation, ethnicity or disability. It is important to point out that the victim need not actually be a member of one of these groups. The event would still be considered a hate crime if the offender believed the victim was a member of a protected class. There is a space provided for the victim to give his/her name and telephone number although this is not required. Under the Clery Act you should report Clery crimes even if they are provided anonymously. In addition, we must also include hearsay information in our statistics. If you are given information by a student about a crime that occurred to his/her roommate, for example, we must include it. One of the attached forms should be submitted for each incident you report. All completed forms should be mailed to me. I will compile the information and report it as required. Please feel free to make as many copies of the blank form as you feel you might need. Indiana State University has elected to refer all Unmanned Aerial Vehicles (UAVs)/Drones inquiries to the ISU Public Safety Department. The ISU Public Safety Department is charged with granting or denying approval for the operation of UAVs on the property of ISU. Requests must be made at least 2 business day prior to the operation of the UAVs. Requests are to be made through the Office of the Chief at (812) 237-7829 or to the Operations Captain at (812)237-4015. All UAVs must be flown in accordance with state statute and current FAA regulations including licensing and registrations. Specific and written dates/times will be supplied to the Public Safety Department at least 2 business day prior to all flying sessions. 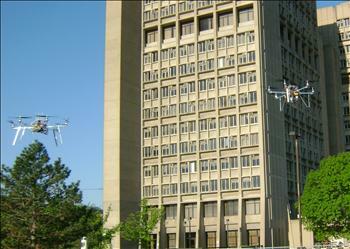 Flying of UAVs will be limited to daylight hours. Flying near Residence Halls, Classroom Buildings or indoors is restricted and must be specifically approved. Violators of this procedure may be subject to trespass or referral to the university disciplinary process.